Illinois is the crossroads of North America. For centuries, this location has been a great advantage for the settlement and commerce of our state. Chicago’s O’Hare International Airport is among the busiest in the world. It is here that the major rail lines come together, that the major highways intersect, and the major rivers of the continent converge. But 25 years ago it was that last crossroads—the rivers—that brought about one of the greatest natural disasters in Illinois history. Our state’s unique geography within North America’s river system puts us in a prosperous but also dangerous position. The great rivers of the upper Midwest, the Great Plains, the Rust Belt and the mid-south all come together in or near Illinois. The moisture from our rivers contributes to the rich Illinois farmland that feeds so much of the nation and the world. But it also carries great risk: excessive snowfall in Montana or western Pennsylvania, or heavy rains in Minnesota or Alabama can have disastrous impacts hundreds of miles away in Illinois. 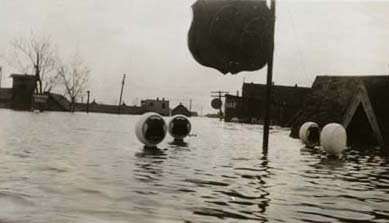 A filling station under water in Harrisburg during the flood of 1937. And that is exactly what happened in the summer of 1993. Illinois had endured floods before, such as the devastating 1937 flood on the Ohio River and the 1881 Mississippi River flood which put our state’s first capital city of Kaskaskia on the Missouri side of the river. But the 1993 flood was something unique in history, and in the memory of those old enough to have encountered it the 1993 flood remains today the standard against which all others are measured. When it was over, 50 people had been killed and between $15 billion and $20 billion in damage had been done in nine states. In Illinois, 500,000 acres of land were flooded and $1.5 billion in crop and property damage was recorded. Levees failed or were overtopped on 150 different rivers throughout the Midwest. No part of Illinois’ western boundary was spared. Today, 25 years later, the 1993 flood still holds the record for the highest river stage ever recorded at points from Rock Island in the north to Quincy in the middle to Chester in the south. The flood brought commerce to a standstill. Because the heightened river stages posed such a threat to navigation, the Mississippi River was closed to commercial traffic for two months. Floodwaters inundated the approaches to bridges over the river, or washed them out altogether, forcing road closures for weeks at a time over a huge stretch of the river between St. Louis and the Quad Cities. The Mississippi caused tributaries to back up and spill over their own banks as well: the Illinois River flooded so severely in its own right that a levee near Nutwood failed and Illinois highway 100 had to be closed from Hardin to Pearl. The emergency even took a turn toward the truly bizarre following the July 16 failure of a levee in West Quincy, Missouri. An Illinois man was arrested and charged with “intentionally causing a catastrophe” after prosecutors alleged he removed sandbags from the levee before it failed. Like other disasters of this magnitude, the flood of 1993 developed over a long period of time and then struck with a ferocity rarely seen in recent history. The previous fall had been abnormally wet, causing above average soil moisture and higher reservoir levels throughout the Midwest. With less capacity to absorb new rainfall, the area was especially vulnerable to the series of heavy rains which moved over the same areas again and again in the spring. According to National Weather Service records, places that average eight or nine days with rain in July instead were hit as many as 20 days in July of 1993, some of them receiving as much as four feet of rainfall for the season. Now the nasty side of Illinois’ geography showed itself. Heavy rains in the Dakotas caused floodwaters to flow down the Missouri River toward Illinois, while record rainfall in Iowa also drained toward the Land of Lincoln. As hard-hit cities like Des Moines and Kansas City finally began to see relief, the situation worsened downriver at points in Illinois when the record flooding on the Mississippi met the record flooding on the Missouri. Levees began to fail or be overtopped, one after another. When a levee would fail it would take pressure off other levees at other locations along the river, but this benefit proved to be short-lived due to the sheer volume of water inundating the valley. The Fountain Creek levee in Monroe County near the village of Valmeyer failed after a 24-day battle, flooding farmland, but possibly saving heavily-populated downtown St. Louis. Soon Valmeyer itself was in grave danger: a threat which had both immediate and permanent implications for the small town. By July 4, the danger was apparent to all. Governor Jim Edgar ordered the activation of Illinois National Guard units. That day, Major General Don Lynn began a National Guard activation that would eventually include more than 7,000 troops spread out from Oquawka to Murphysboro. Work crews of inmates from the Department of Corrections were part of the flood-fighting effort as well. 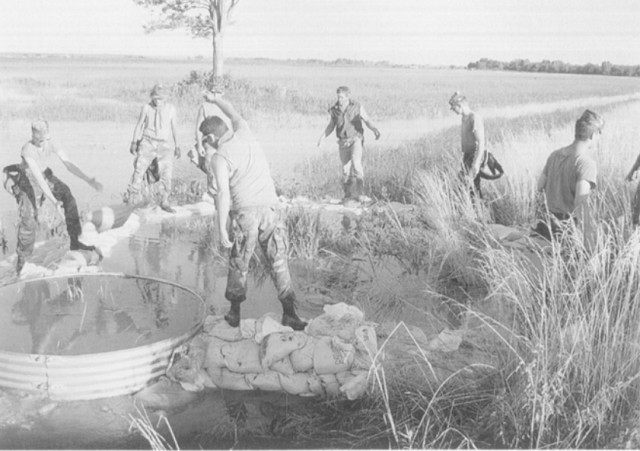 Local citizens and volunteers from all over the state came to small towns along the Mississippi to help fill millions of sandbags alongside the soldiers and inmates in the intense July and August heat. A major disaster declaration was issued by President Bill Clinton for Illinois on July 9. A total of 39 Illinois counties, including the entire length of the Mississippi from Cairo to Galena were included in the declaration. The only thing more stunning than the extent of the flooding was its longevity. Weeks went by, then months, with the Mississippi and its tributaries still out of their banks. 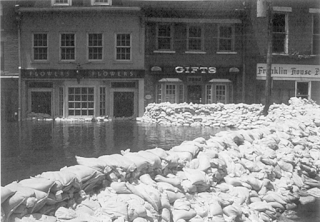 At St. Louis, which became the nation’s epicenter of the flood, the river was above flood stage for 144 days. Most of the National Guard troops activated for the disaster stayed on the job for six weeks, while others were deployed into November. 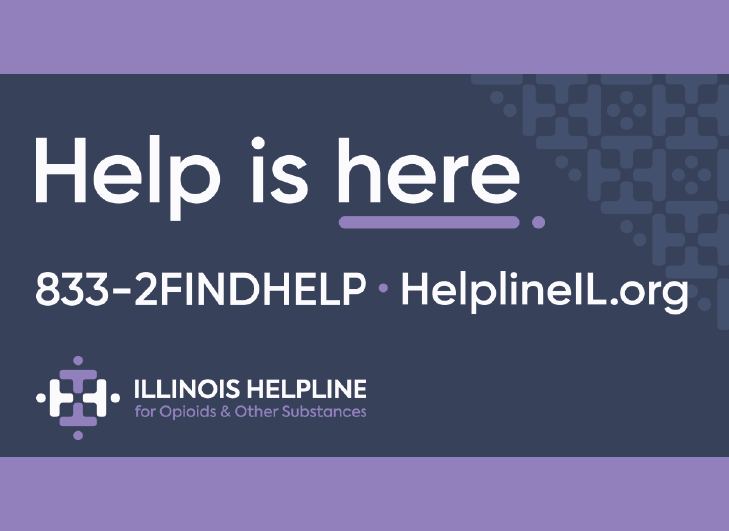 The Federal Emergency Management Agency officially declared an end to the “incident period” in Illinois on October 22, 1993: 193 days after it began. 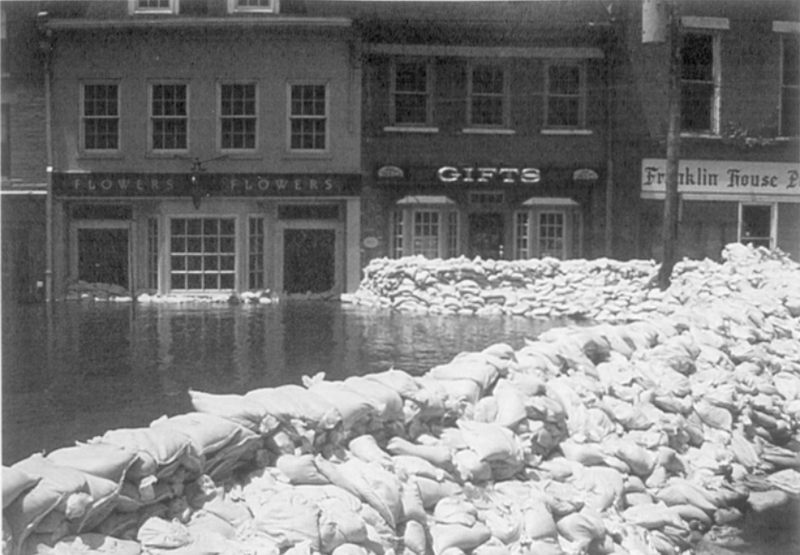 For Illinois and neighboring states, the fight against the 1993 flood was only the beginning. Months and years of cleanup and recovery lay ahead. Levees had to be rebuilt stronger and higher to deal with a revised assessment of just how bad conditions could get. For some towns, the combined task of rebuilding and preparing for the next flood proved to be too much: municipal leaders in Valmeyer made the decision to literally pack up and move their town. With the help of millions in aid from FEMA, the entire village of Valmeyer was moved two miles inland to a safer position both farther back from the river and at a significantly higher elevation.